✅ Trip Verified | Ljubljana to Munich. The homebase airport of Adria Airways is Ljubljana and it very small, relaxing and convenient. It is surrounded by the Alps and the departure was fantastic. The airplane was modern and the crew was nice. Ontime departure. Drinks without alcohol were free and I paid 4€ for my white wine. Considering that I had a cheap ticket I cannot complain. Upgrades would have been available for 30€ - which includes the lounge. Not Verified | Zurich to Ljubljana. Very poor customer service. Flight was cancelled without sending any email confirmation. The flight I was rebooked seemed to be overbooked at the beginning (which was not true)and we had to wait 30 min to have our ticket changed. Very bad experience overall. ✅ Trip Verified | Vienna to Sofia. The flight was delayed by 2 hours. The cabin crew was annoyed that they had to offer drinks to the passengers and passing by announced they would only give one drink per customer. And coffee was a nuisance and they made it clear, even though it was on their cart. The questions would normally go "would you drink anything?" and not "what would you like to drink?". Very bad customer service. ✅ Trip Verified | Ljubljana to Munich. Adria's checkin system is obviously barely coping. It wasn't possible to obtain an electronic boarding pass (iphone wallet version) from Adria's site. The option was there but it failed without any further explanation. Further more I was not able to checkin to return flight online - neither through Adria nor Lufthansa web site. In the end I made it via Lufthansa mobile app. Go figure. Both issues were reported to customer care and both were ignored. I experienced the same customer care "policy" couple of years ago when my inquiry with customer support was basically ignored. 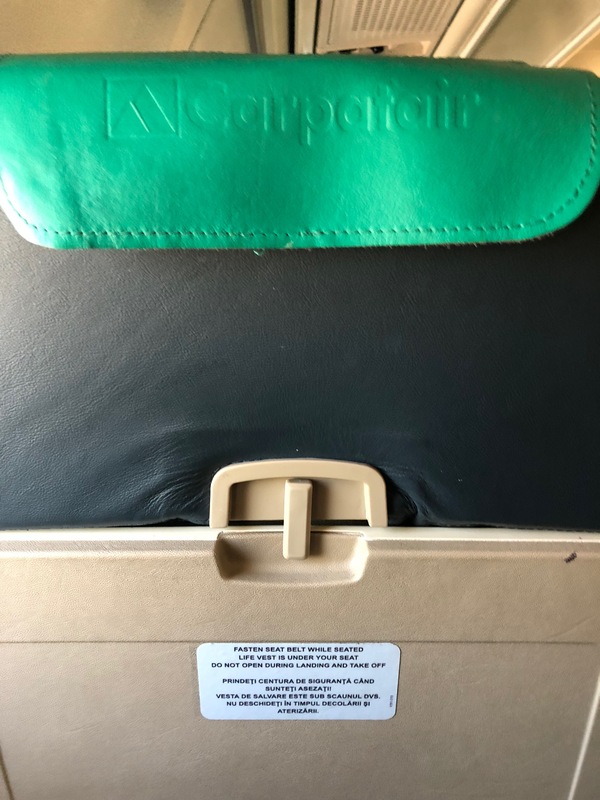 Flight was actually operated by a Romanian company Carpatair. The cabin was outdated and dirty with a funny smell lingering around. The latter stuck to my clothes for the day - not that great if you are meeting a client. Cabin crew was also quite disorganised and mixed up orders of all passengers sitting around me. Would not fly again. Unfortunately they are the only company offering a direct flight from LJU to MUC. ✅ Trip Verified | A very unpleasant experience for my family. We bought two return flights (Ljubljana-Prague-Ljubljana, Ljubljana-Warsaw-Ljubljana), and several days before departure both direct flights from and to Prague were canceled and a flight to Warsaw was merged with Prague flight (so added necessary stopover). Instead of a direct flight to Prague Adria Airways finally offered a transfer via Munich. When we arrived at the airport (21/6/2018), we found that the flight to Munich had more than an hour of delay, and therefore it was not possible to catch the next flight from Munich to Prague. The flight to Munich was full of people from the original canceled flight to Prague, who subsequently wanted to continue to Prague. Although the Adria Airways staff were present at the airport, no one came to inform the passengers and the result was tremendous confusion and lack of information. Ljubljana airport servicing staff finally informed us that Adria Airways staff refused to come! Also wasn't possible to call the Adria Airways hotline. Maybe it had been overloaded due to the number of disgruntled passengers because the next gate was full of people waiting for a delayed flight to Vienna, where there also wasn't anybody from Adria Airways who could provide any information. Unfortunately this flight left without us and we were all forced to ride from the Munich airport to a more than 30 km distant hotel and the next morning at 6am again back. Permanent cancellation of flights and subsequent ignorance of passengers are surely a way to reduce operating costs, but in the long-term this will cause the outflow of passengers to other airports around Slovenia, especially to Graz and to Zagreb. "delayed for more than 2 hours"
✅ Trip Verified | Ljubljana to Frankfurt. Flight delayed for more than 2 hours due to technical problems. We were not given any food or water and when I requested some I was told to complain to Adria Airways website. Another plane was organized, more than 2 hrs later. The staff was trying to convince the passengers that their connection to Singapore will wait (they had 15 min in between the new flight arrival time and departure! ), and that the flight to Frankfurt is 1 hr - and no wifi connectivity on flight! "should be ashamed of their operations"
✅ Trip Verified | Ljubljana to Vienna. Overall, the flight services of Adria are those of an average, reliable, small European carrier. I have flown them many times over the years, and I have seldom experienced any problems with the flights themselves. Returning to Vienna from a visit to Albania and Slovenia in September, however, I had an encounter with Adria that has revealed just how much their customer service quality could be improved. Adria offers opportunities to purchase business class upgrades or empty economy class seats through Optiontown. Business class upgrades on Adria are a joke because you're paying at least 50EUR for an empty seat next to you and a snack. The option to purchase an empty economy class seat at 19EUR is a great deal though, in my opinion. Having selected this option for my LJU-VIE flight, I received a confirmation that my transaction had cleared and the extra seat had been assigned next to me. Fast forward to the actual flight: there had been an aircraft change from the CRJ-900 to an ATR-72 (Darwin Airlines/Etihad Regional), but I still had my empty seat. 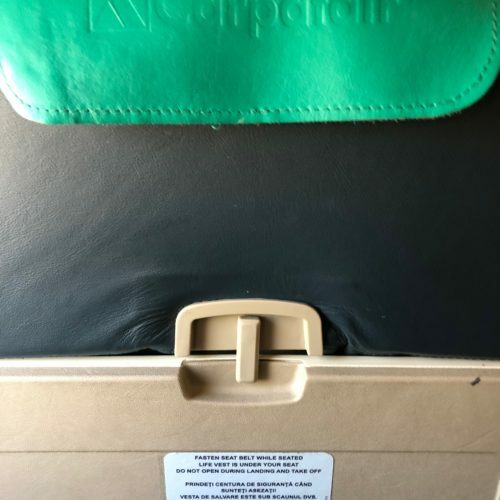 The ATR-72 has two seats that face towards the rear of the plane at the front of the cabin, and one of the women seated there was scared to fly backwards, so the flight attendant unilaterally reassigned her to my empty seat without asking. It's a short flight, and I didn't want to cause a scene, so I just let it all happen assuming I could easily get a refund for my 20EUR transaction. It took exactly one month for Adria's customer service team to respond to me, and they said that my "business class upgrade" had not cleared, so I was not charged. I had never requested a business class upgrade, and I was charged for the empty seat I had in fact requested, so I sent all of the relevant receipts and statements back to Adria. Three weeks later, I still have yet to receive a response, so I simply disputed the charge with my credit card company that was easily able to understand the issue and refunded the money. 3-4 weeks+ response time from customer service is absolutely embarrassing, and Adria should be ashamed of their operations. It's sad for an otherwise perfectly acceptable airline to lose a customer over 20EUR. ✅ Trip Verified | Two nice short flights from Ljubljana to Sarajevo and back. First flight with Adria, flight back with Adria Switzerland. Flight to Sarajevo delayed due to fog in Sarajevo, Adria quickly changed an aircraft so that it was possible to land in foggy weather (CRJ instead of ATR). Product depends weather it is Adria or Adria Switzerland. Adria with snack, water and buy on board product, Adria Switzerland with snack, water, tea and coffee and without buy on board. I personally prefer the second option. Adria Switzerland provided nicer and cosier atmosphere on board, somehow a kind of premium product compare to Adria mainline.